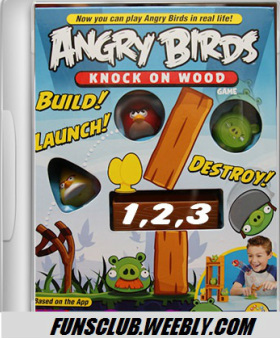 Angry Birds is a puzzle video game developed by Finland-based Rovio Mobile. Inspired primarily by a sketch of stylized wingless birds, the game was first released for Apple's iOS in December 2009.Since that time, over 12 million copies of the game have been purchased from Apple's App Store,which has prompted the company to design versions for other touchscreen-based smartphones, such as those using the Android operating system, among others. In the game, players use a slingshot to launch birds at pigs stationed on or within various structures, with the intent of destroying all the pigs on the playfield. As players advance through the game, new birds appear, some with special abilities that can be activated by the player. Rovio Mobile has supported Angry Birds with numerous free updates ..."